In terms of a charitable The Mariupol Defenders Project a united team of volunteers transferred another batch of an aid for the Marines, who keep defense near Mariupol. 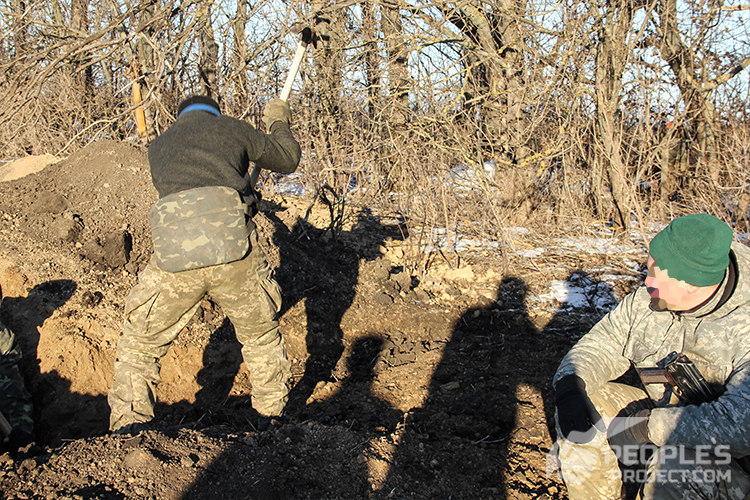 Also, volunteers witnessed, how exactly military erect one of the blindages, which Ukrainian Volunteer Center The People’s Project produce for the Army of Ukraine in terms of The People’s Blindage Project. Usually, it is extremely hot near Mariupol. Enemy continue shelling throughout the front line. So, volunteers traveled to the front line again to bring to Marines some necessary equipment and a few other pleasant surprises. We want to present you a video, which shows how blindage is erected right at the position of Marines. More details about this trip we tell in a few days. Not a long time ago we transferred to Marines 4 new blindages. Current position is right at the front line, and enemy attack it regularly, so we moved quickly and carefully. 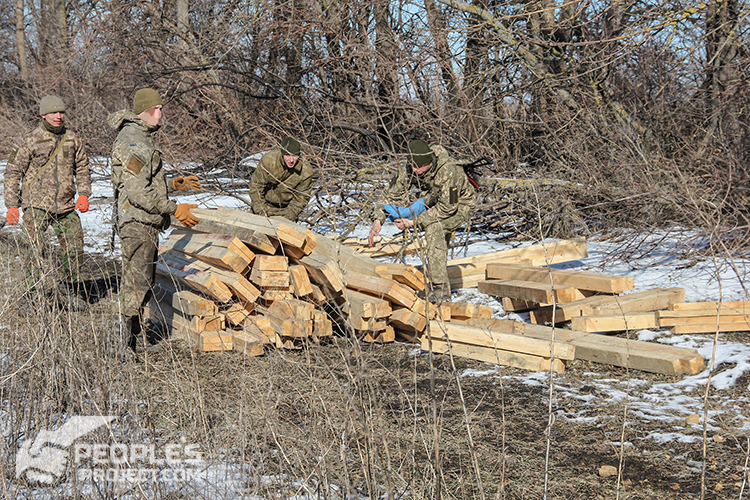 Ukrainian marines carry last blindage elements to the trenches, and prepare the base of a dugout. A few hours of work, and a comfortable shelter is mounted. Even though the blindage seems small, it can comfortably accommodate up to 10 Marines. 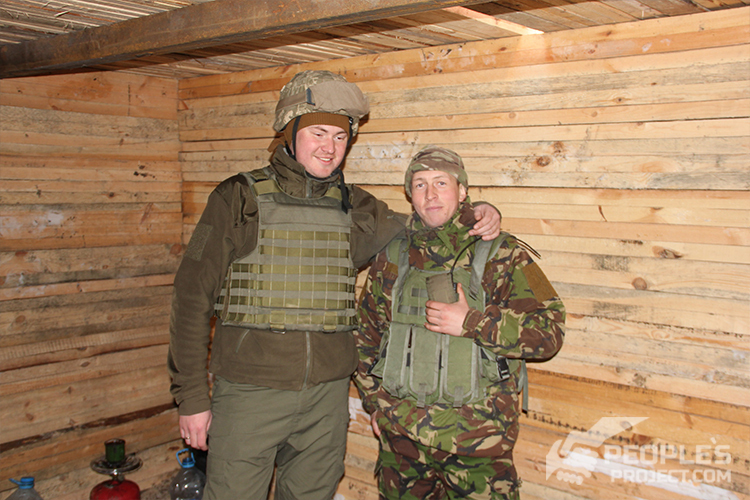 If there is a need to urgently protect from an attack, much larger number of soldiers can hide inside. A protection is an important issue at the positions of Marines. 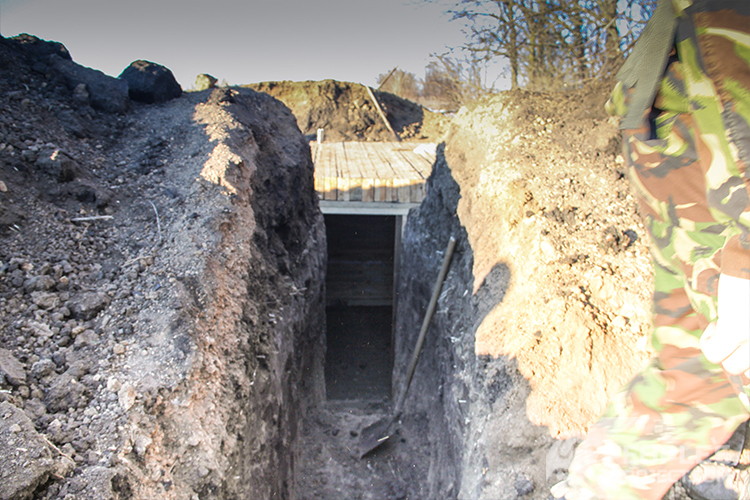 Very soon it will be one of the hottest spots of defense at the front line. Enemy’s positions is located in just a few hundred meters from here. This is why a blindage is very useful during the hottest moments of a sudden attack. The manager of The People’s Project Maxym Ryabokon noted, that the military created a new kind of competition #БліндажЧеллендж (#BlindageChallenge), because those blindages were mounted by marines, who defend Mariupol and in the industrial zone of Avdiyivka (where we transferred 5 blindages for the soldiers from 72nd Separate Military Brigade). In the comments, there is a discussion between military engineers, who give some good piece of advice for the future, and deeply admire a current design of blindages. It is relatively calm near Mariupol today, as well as near industrial zone of Avdiyivka. That is why Ukrainian defenders have a great opportunity to strengthen their positions, and erect few more reliable shelters. We transferred to the hottest spots of the front line a dozen of blindages lately, but this quantity does not cover urgent the needs of military. 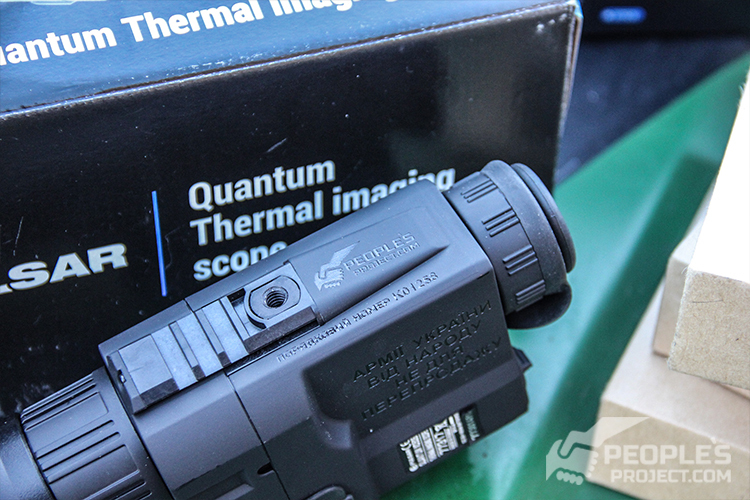 Protect Ukrainian defenders from sudden attacks and cold you can with a charitable contributions in terms of The People’s Blindage Project. This particular project allow volunteers to purchase materials, prepare new dugout sets and send them straight to the front line rapidly. Your assistance is highly desirable and important in this question. Join the project to save life.